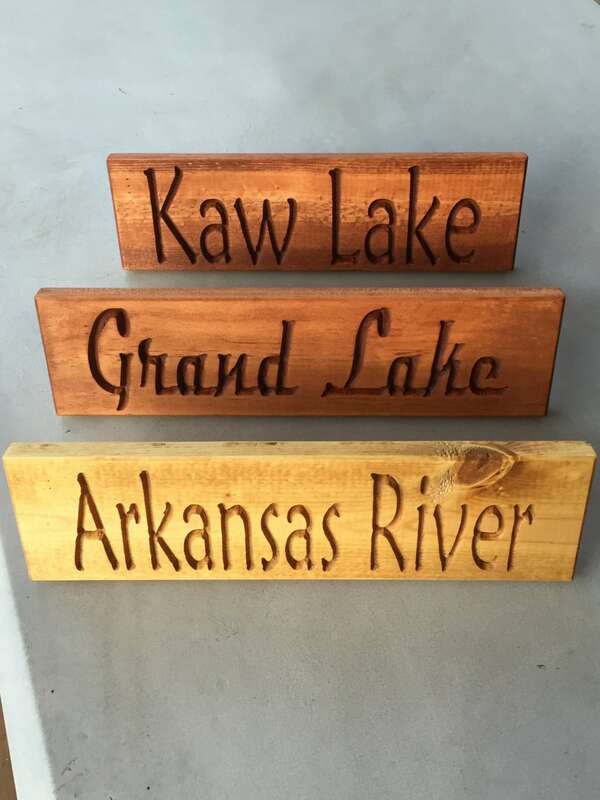 The name of your lake or river (or pond, ocean, barn, shop, city, pet, whatever) carved into pine and hand finished and stained. Height is approximately 3.5", length depends upon the name. Back has a keyhole slot for hanging on a wall, and a dowel rod for tabletop display. Stain is your choice. In the picture, "Arkansas River" is in maple, and the other two lakes are in gunstock.